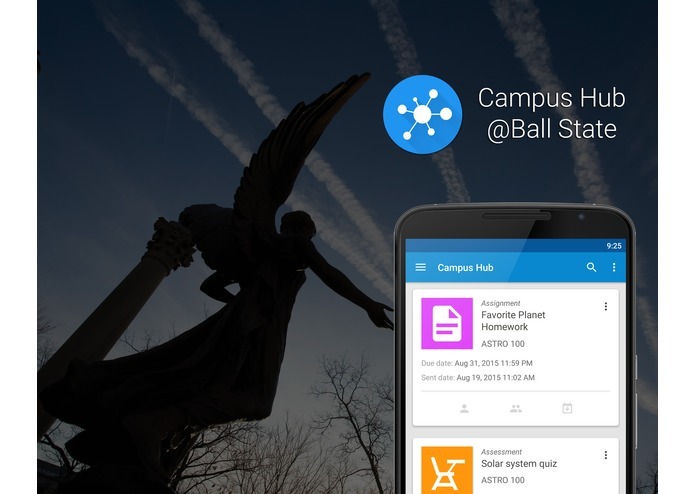 Stay connected to campus life with Campus Hub @BallState! Everyone knows how email works – you get a message and there's usually several "things" that should happen next, like schedule an appointment, follow-up with someone, set a reminder, get directions, complete a task . . . the list goes on and on. The problem is that you have to jump around to find the tools to actually complete all of those actions. And when the messages keep piling up, the to-do list keeps growing. 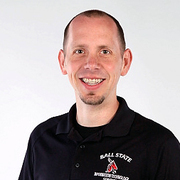 At Ball State, and campuses all over, students receive a lot of email, and it is important email - messages from professors about coursework, administrative offices with notifications about loans and accounts, prospective employers regarding interviews and job offers, not to mention any personal email that arrives in their inbox. 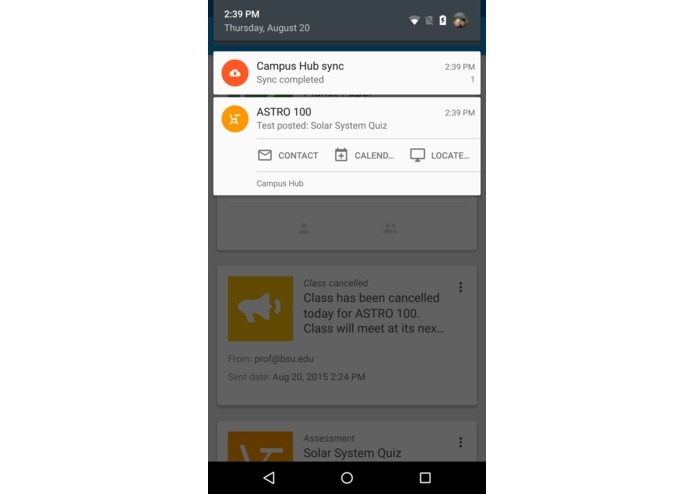 Just last year, one system at the university was responsible for sending more than 2760 messages to more than 51 million recipients. That doesn't include all of the messages from our learning management system, administrative systems or good old one-on-one messages from an email client. 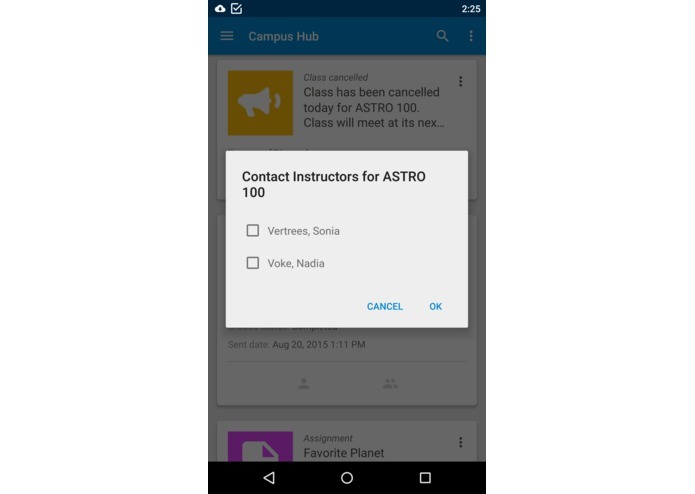 With Campus Hub, we hope to make life a bit easier. 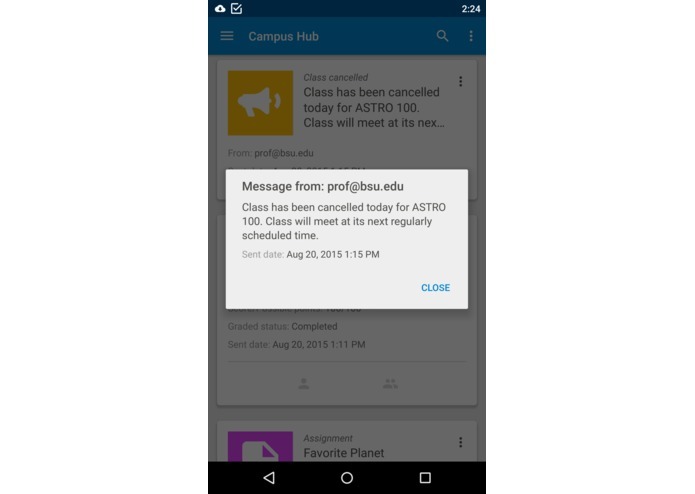 By creating a mashup of email, data from our learning management system (Blackboard) and enterprise systems, and location, we've created an intuitive and seamless view into a student's life at Ball State. 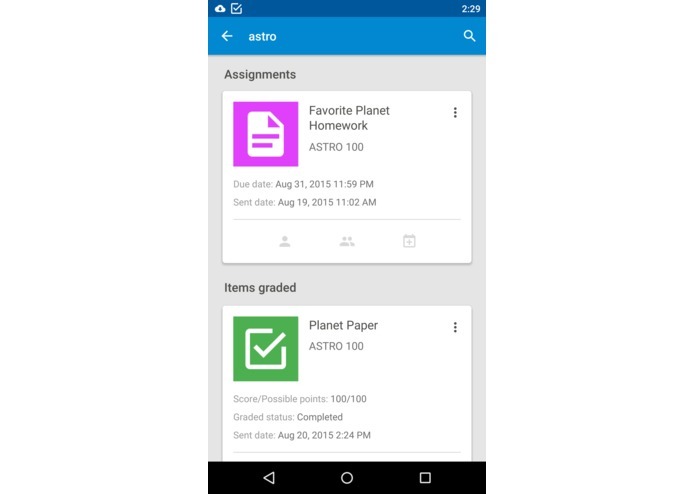 Currently, a professor will generate a piece of content in Blackboard, which triggers an email notification, and begins the cumbersome process of taking action. The message contains basic information and a link to Blackboard. The login page is first with lots of pinching and zooming and scrolling. This comes up every time, by the way. After that, a student is in Blackboard - the full, desktop, browser-based application experience with even more pinching, zooming and scrolling around. 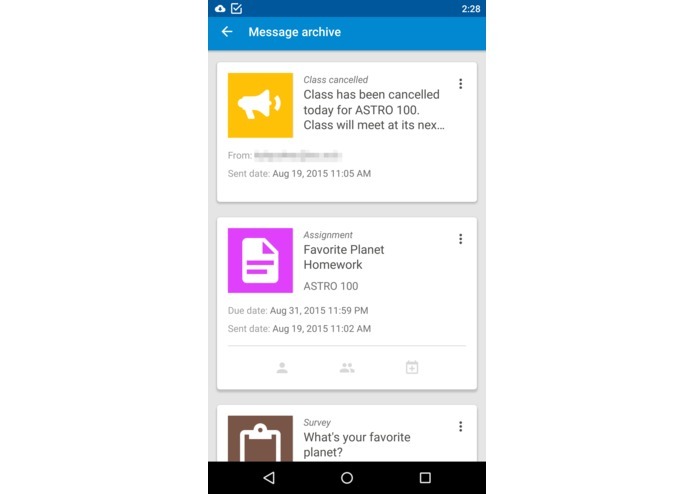 By integrating Context.IO and its amazing ability to analyze messages and trigger custom processes, we've been able to design an app focused on a comprehensive, actionable and intuitive view of what the student should actually DO with that mountain of email, and bypass the hassle of using web sites designed for big 24" monitors and not 5" phones. 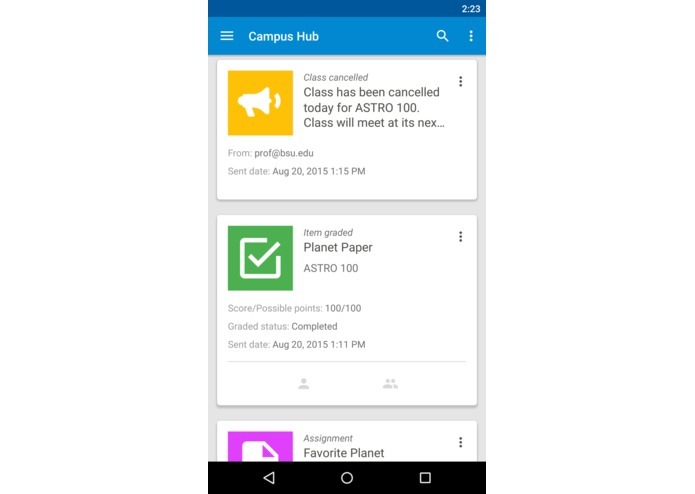 With Campus Hub and Context.IO, we simplified that process tremendously. When the email is sent from Blackboard, Context.IO intercepts the message and triggers a call to a webhook, based on various keywords. 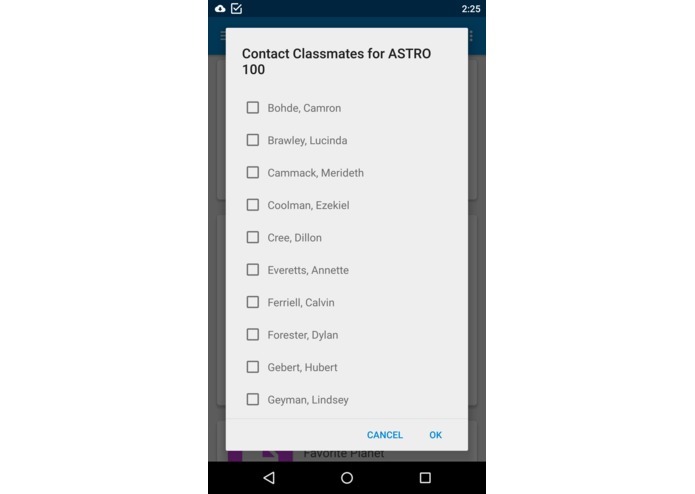 Our webhook analyzes the response, calls several Blackboard web services to create a composite data set, and updates a backend database. From there, we send a notification to the device that new content is available. 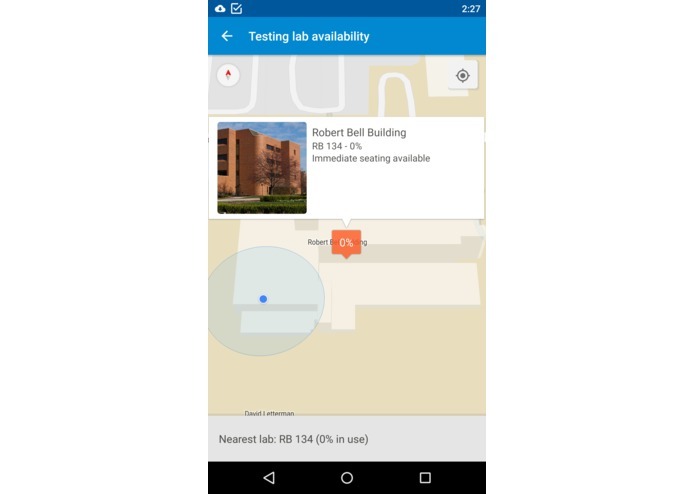 Both the notification and the content downloaded to the app offer immediate and relevant actions for a student – contact the professor or classmates, add the item to the calendar, or locate a testing lab. 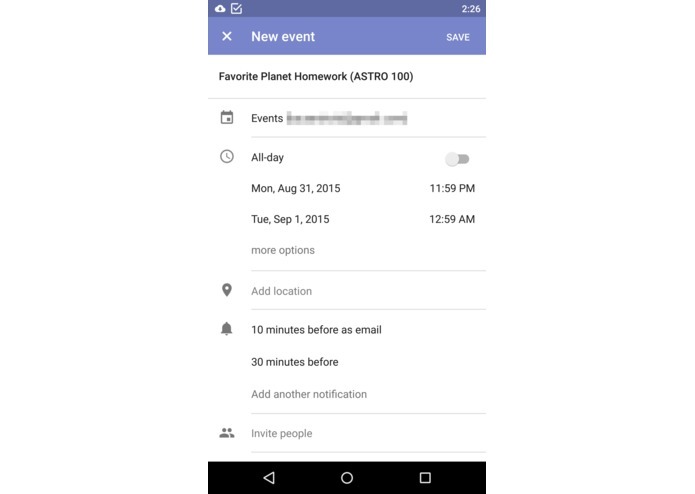 Notifications are delivered to both the mobile device and a connected smartwatch like Android Wear. We're currently testing Apple Watch, so hopefully its ready when we roll out the iOS version of Campus Hub. 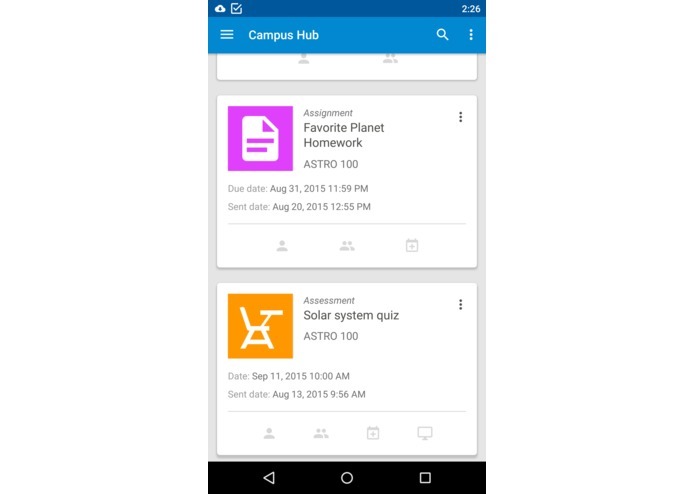 What does Campus Hub actually do? And searches through all active and archive messages. 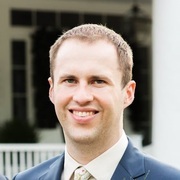 The biggest challenge we faced was integrating all of the disparate services into one, cohesive and intuitive app that didn't require multiple logins, different interfaces or jumping through a lot of hoops to view the information. For the first rollout of Campus Hub, we integrated six different services and data sources, including Context.IO, Blackboard web services, Google Cloud Messaging, and enterprise databases on campus. Finding the right thread to tie everything together was difficult at first, but once we understood the power of Context.IO and the webhooks, the email messages became the lynch pin for the entire process. This is just the beginning for Campus Hub. We're working to incorporate other content like upcoming lectures and events, academic holds and account notifications, sporting events and news, and more actionable and helpful views into all of the messages that arrive each day. We are also developing a version for the iPhone, wearable devices and tablets. We had a great group of students who contributed ideas and input on the initial set of features and can't wait to release the app to all 21,000 of our enrolled students so everyone can take advantage of the features this new app offers. Behind the scenes, Campus Hub would lend itself to an easy licensing model at other universities - simply change out the data/system end points and any university with Blackboard, or another LMS, could take advantage of this technology for their students. 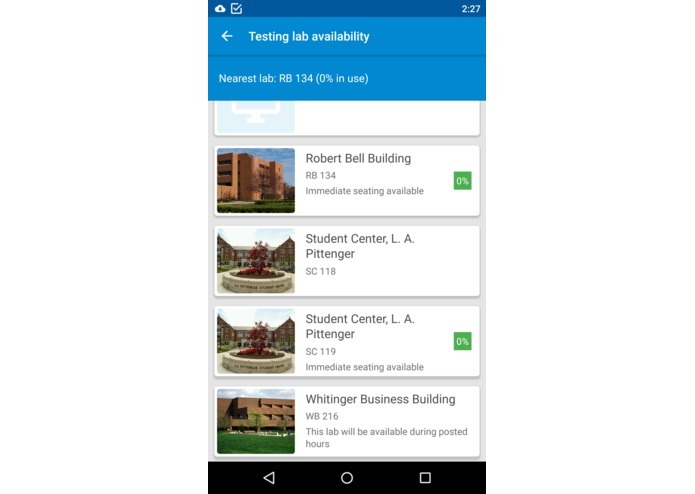 Check out a recent article on Campus Technology about this project - http://campustechnology.com/articles/2015/08/25/ball-state-university-addressing-the-email-glut.aspx.